Mother-daughter nurse duo Maridy Morrison and Marizon Villanueva have worked in the same team for 19 years. Have you ever thought about what it might be like to work with your mum? Maridy, whose name was influenced by a fusion of her mother and father’s name, initially wanted to steer clear from nursing. “In year 10 I vowed I’d never be a nurse because I wasn’t a fan of the shift work and the times mum couldn’t be home when I was growing up,” Maridy said. The pair say they have loved working together at Westmead Hospital’s intensive care unit. “People would ask me how I’d get past working so closely with mum,” Maridy said. Marizon said she had a strong level of mutual understanding with her daughter. “When we work together we understand each other really well,” she said. 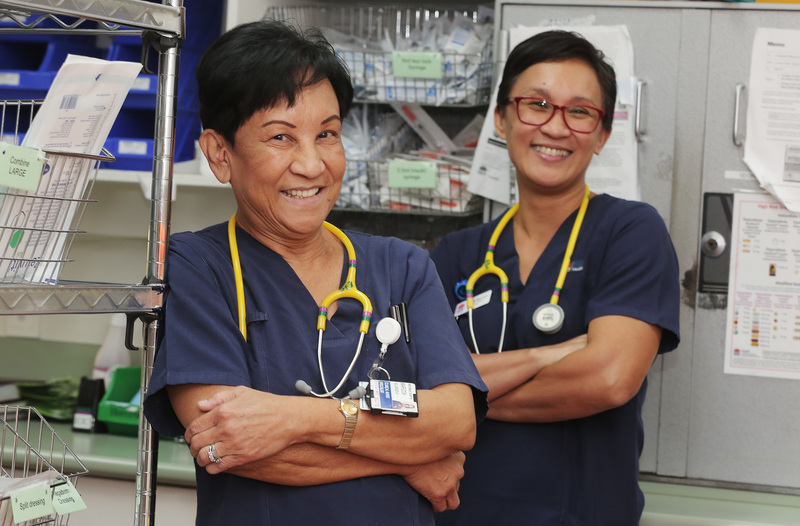 Marking the end of an era, Maridy is now taking on a role with Westmead Hospital’s nursing executive as a clinical nurse educator. Marizon and Maridy are spending Mother’s Day having a barbecue with the family. “I’m so proud of my daughter and all my children,” Marizon said.